While we wait for official word of whether Bryan Cranston will reprise his role as Walter White in AMC/Sony TV’s Breaking Bad movie, the Emmy-winning actor has signed on to make his official return to television in the Showtime limited series Your Honor, the network announced Thursday. 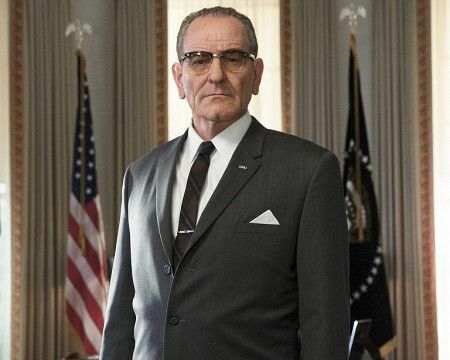 Based on the Israeli series Kvodo, the 10-episode legal thriller will find Cranston playing a respected New Orleans judge (accent alert!) whose son is involved in a hit-and-run that leads to a high-stakes game of lies, deceit and impossible choices. Based on that description, it feels like Cranston’s House of Cards, which itself marked Kevin Spacey‘s return to television following the late-’80s series Wiseguy. The idea of Cranston using his high-powered connections to save his son is exciting and I’m eager to see just how dark this show gets. After all, Cranston is The One Who Knocks. Peter Moffat (Doctor Who) will serve as showrunner on Your Honor as well as write multiple episodes, including the first one. Robert and Michelle King (The Good Wife) will executive produce via their King Size Productions banner along with Liz Glotzer, Alon Aranya and Rob Golenberg of Scripted World, James Degus, and Cranston himself. The series hails from CBS Television Studios and will be shot on location in New Orleans later this year. Cranston won four Emmys for his dynamite turn on Breaking Bad, and her earned three more Emmy nominations for his work on Malcolm on the Middle — a show I once interned for, by the way. He recently co-created the TV series Sneaky Pete, which he executive produces and has popped up on from time to time in an uncredited role. Cranston also has plenty of fans from his appearances on Seinfeld and Curb Your Enthusiasm. Cranston most recently starred in Network on Broadway, and his feature credits include Ben Affleck‘s Best Picture winner Argo, the Dalton Trumbo biopic Trumbo, and a pair of underrated indie films — crime drama The Infiltrator and Richard Linklater‘s Last Flag Flying. He’s represented by UTA.